Purpose/Objectives: In recent decades, molecular biology tools have enabled researchers to modify the genome of human cells. Today, many methods can be employed to inactivate genes, add them or change their expression. However, survival rates for patients affected by highly malignant cancer types have not improved substantially. If methodology like genome editing, which is routinely used in research laboratories, would be available to clinicians, the patients’ prognosis could be strongly improved. Materials/Methods: CRISPR-Cas9 is a method to precisely target and manipulate genomic loci and recent studies have attempted to use this method as a treatment for genetic diseases including cancer. Some of these approaches target mutant genomic sequences specifically and try to avoid affecting the respective normal loci. We combined knowledge from recent advances in CRISPR-technology with data from cancer genome sequencing studies to develop a concept for the CRISPR-mediated targeting of recurrent or individual mutations in activated oncogenes. Results: We present strategies to target mutations in activated oncogenes in a mutation-specific way using CRISPR-technology. The induction of DNA double strand breaks in key locations of oncogenic drivers is likely to abolish or reduce their oncogenic potential. CRISPR-molecules effective against highly recurrent mutations might be usable off-the-shelf for all patients with that mutation. Clinical electroporators could improve the delivery of CRISPR-molecules into tumor cells after local or systemic injection. Moreover, when combined for example with checkpoint inhibitors, CRISPR-targeting might enhance the immune-recognition of tumor cells and/or decrease the expression of ligands reducing cellular immune responses. However, considering obvious genetic risks opposing the objected benefits, this approach has to be evaluated carefully in preclinical studies. 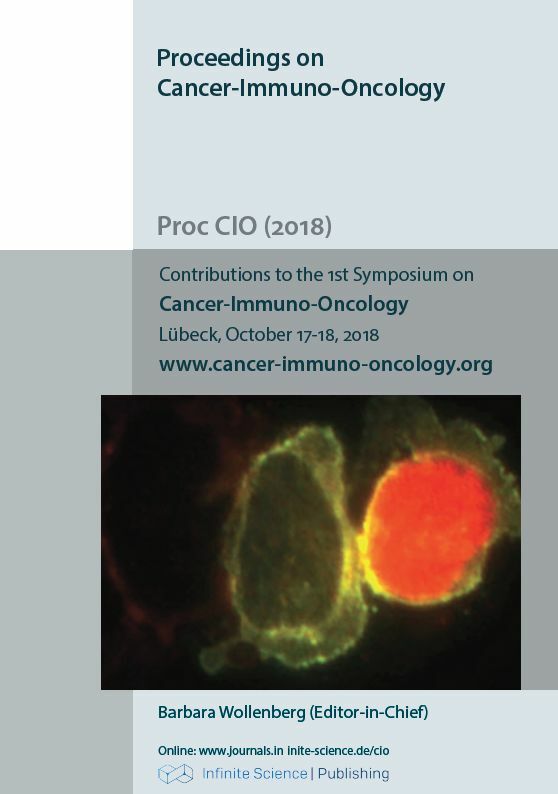 Conclusion: We believe that the mutant-specific targeting of oncogenes activated by mutation can be achieved employing the latest CRISPR-technology and that this approach could be combined with immunotherapy. Current publication: Oppel F, Schürmann M, Goon P, Albers AE, Sudhoff H. Specific Targeting of Oncogenes Using CRISPR Technology. Cancer Research. 2018 Sep 7. PubMed PMID: 30194069.